It’s the final week of National Home Security Month and this is the week when burglaries traditionally spike following the clocks going back and bringing darker evenings. 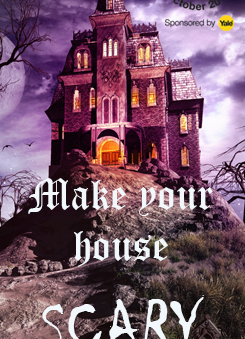 Halloween and Bonfire Night are traditionally when you’re most at risk of a break in. 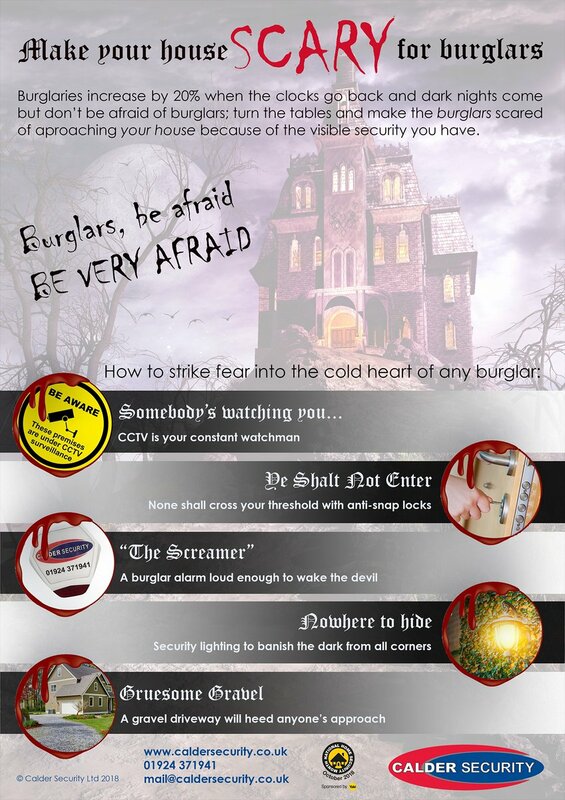 Our final infographic shows you how to turn the tables on would-be burglars by making THEM scared of YOUR HOUSE. Nobody would attempt to break into a home that has clear, visible security measures designed to frighten them off. That concludes NHSM for another year. We hope that you have learned something useful over the course of the month that helps you keep your home secure. We’ll be adding a summary of all the infographics and memes that we’ve created for this year’s campaign at the end of the month or you can see all the posts from all previous NHSM campaigns here. If you do need help with your home security please send us a message or call us on 0800 612 9799.